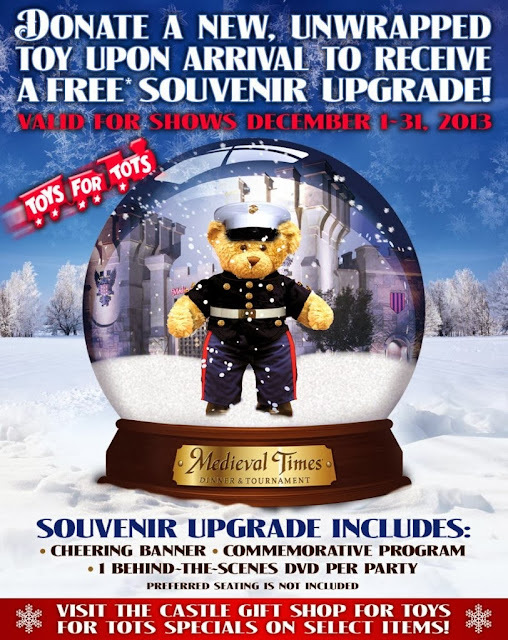 With the holiday season upon us, Medieval Times, Atlanta is working to GIVE BACK to their loyal fans, our communities, and to our employees. In keeping with these ideals, They've have launched Operation Give Back and will be partnering with Toys for Tots. As a valued member of our community and Royal Family, we would love for you to help us spread the word about these great opportunities for involvement. · What It Is: A campaign to encourage our Medieval team members and fans to get involved in their communities and do something to give back. 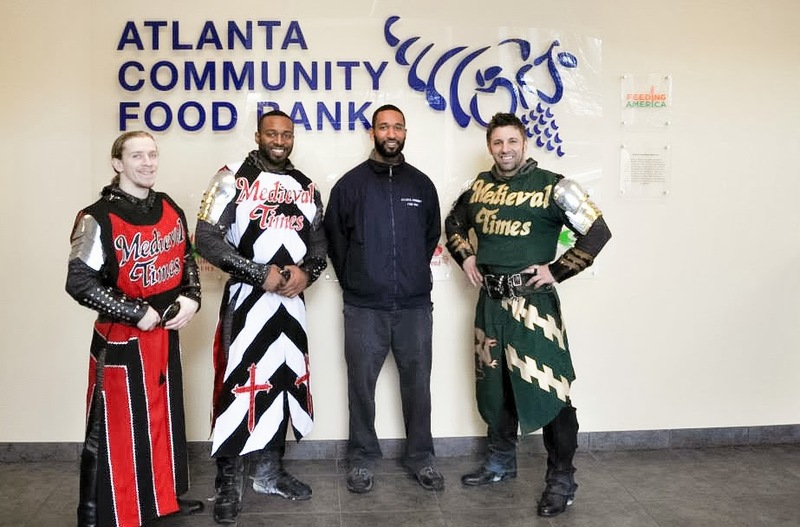 · What Medieval Times Have Done: The Knights from Medieval Times, Atlanta have already volunteered with two well-known Atlanta organizations. For photos and more information, follow the links below. 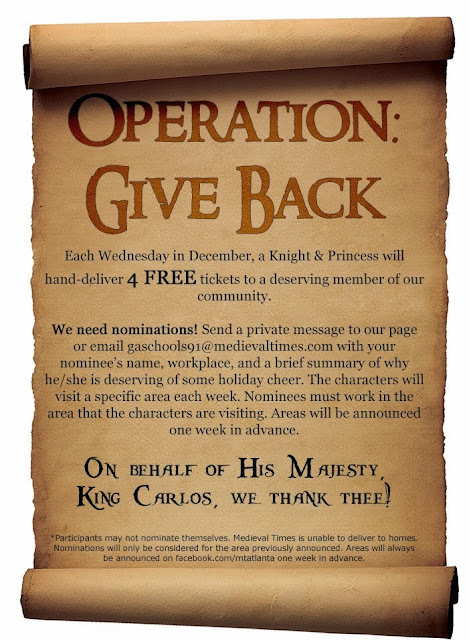 · Facebook Giveaway: Every Wednesday, characters (Knights and Princesses) take to the street to spread the word about Medieval Times. Throughout December the Atlanta Castle will be reaching out to our neighbors to spread holiday cheer. · Medieval Times, Atlanta is proud to be an official drop off location for Toys for Tots. · Now through the end of December, guests to our shows can deliver a new, unwrapped toy for Toysfor Tots upon arrival to the castle to receive a FREE* Souvenir Upgrade, including cheering banner, commemorative program, and one behind-the-scenes DVD per party. o *With the purchase of a ticket. One Souvenir Upgrade per toy. 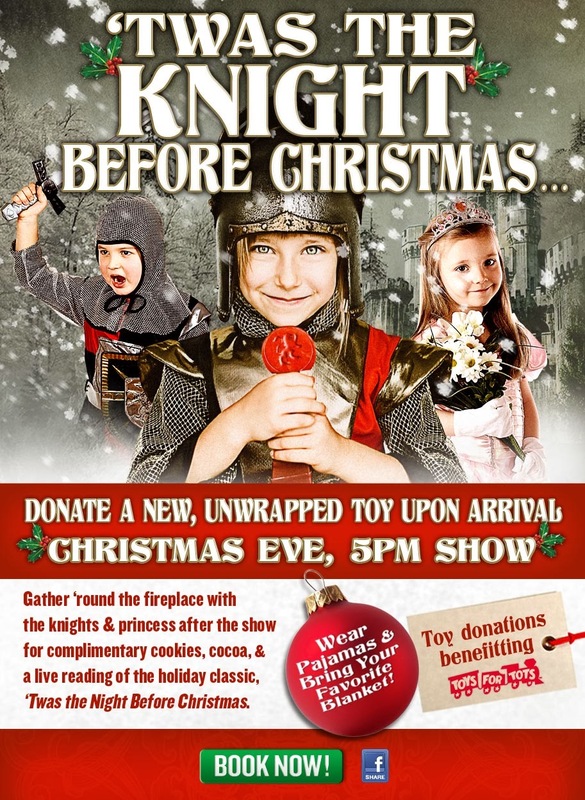 You can win four tickets to Medieval Times’s show in the Atlanta Castle at Discover Mills ($145 value). The tickets will be valid for shows now through January 6th, excluding Saturdays and the 9:30pm show on New Year’s Eve. Please use Rafflecopter form below to enter.